Have you finally made up your mind to save up for a while and visit a really nice hotel towards the end of this month? 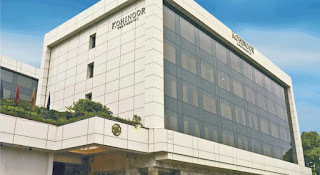 Here, I am talking about Hotel Kohinoor Continental one of the best luxury hotels in Mumbai which is just 2 km away from international airport. Kohinoor Continental has 137 elegantly designed rooms being classified into 118 Superior rooms, 17 Premium rooms and 2 Suites. With flawless blend of luxury, comfort it is equipped with 24*7 Wi-Fi Service, Swimming Pool, Beryl Club, Café lounge, Art Gallery & a Health Club which is swanky and spacious floor with all well maintained and up to date equipment’s. Hotel Kohinoor continental has a multi cuisine specialty restaurant popularly known as the Solitaire restaurant. The conventional decoration, done in cream and with cushy couches which creates a different ambience in the restaurant where you will surely come across the Hospitality at its best. Therefore if one is looking for a Luxury Accommodation in Mumbai Kohinoor Continental is one of the most recommended hotel. The moment you will step into Kohinoor Continental everything will be at your best.